The floral emblem of Alberta, the wild rose, appears in front of a twilit starry sky. Last night was another good one on the Ranch! 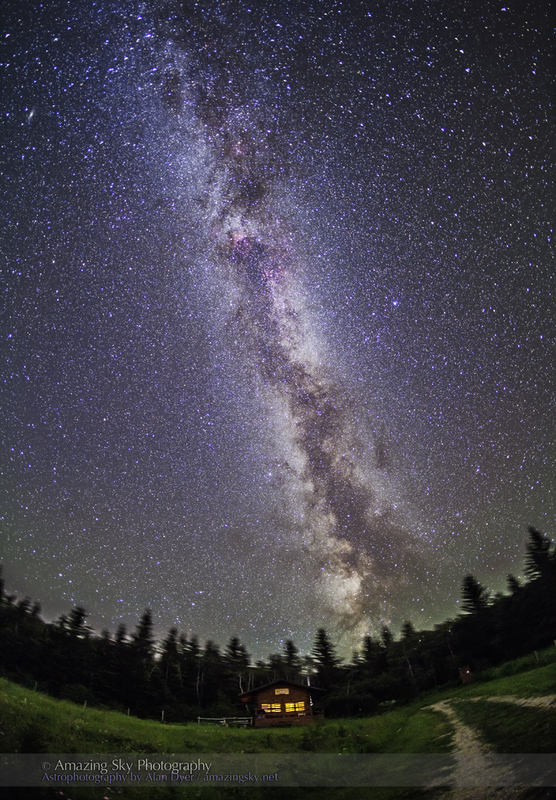 I had three cameras shooting from my log cabin front yard – I had no ambition to travel farther afield this night, after 6 nights in a row of shooting around the Cypress Hills. This is a scene from one of the time-lapses taken from “home,” of prairie flowers in front of a prairie sky. I also took the opportunity to reshoot the popular “Milky Way over Log Cabin” scene, getting better results I think than the shot I posted from the first night I was here a week ago. This was with the specially-modified camera that picks up the red nebulosity in the Milky Way better. The colours are much nicer. Finally, this is a 360° panorama of the scene from last night, taken before the Moon set but when it was behind the trees out of sight. 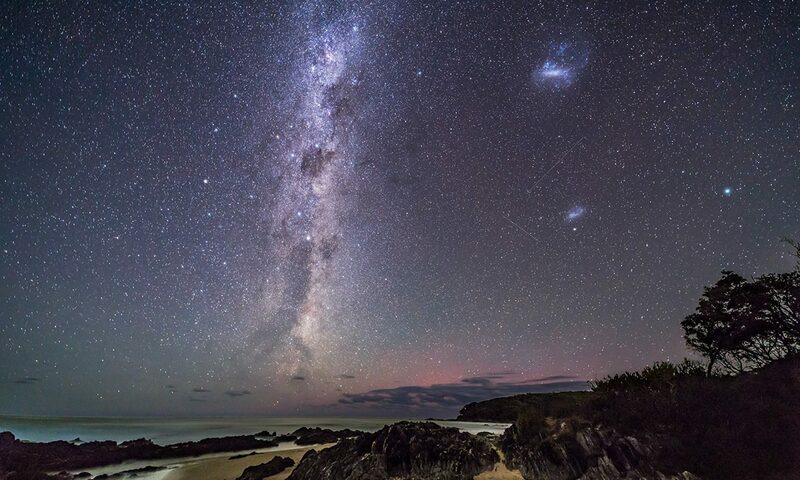 Its light still illuminates the sky blue, yet the Milky Way still stands out. The red lights are from two other cameras shooting time-lapses. This is big sky country for sure! 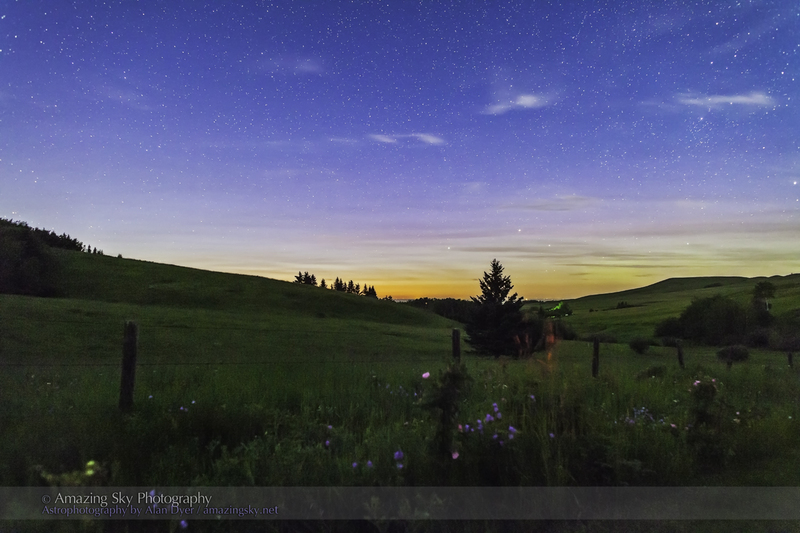 It’s been a wonderful week of shooting on the century-old Reesor Ranch in the Cypress Hills. I highly recommend the location for anyone who wants an authentic western experience in a stunning setting. I’m sure I’ll be back.